Is the future concentrated solar power? 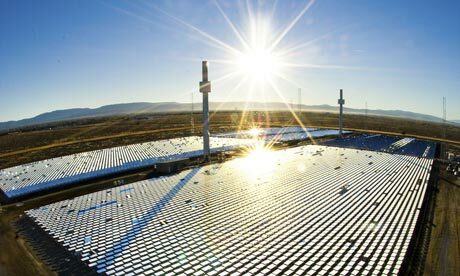 The Guardian claims that concentrated solar power, a field in which Spain leads the way, could generate “quarter of world’s energy”. Strong gales last week allowed yet another renewable energy record for Spain with almost 40% of the country’s energy needs being covered by wind turbines for several hours, with a record peak of 11,180mw being produced. Wind power has so far covered 11.5% of demand this year, 30% more than last year. Renewable energies provided 31% of total electricity supply in Spain in February, partly thanks to generous rains that boosted hydroelectric production. The WWF has praised Spain’s efforts to develop renewable energy over the past 12 years. The record for electricity production from wind power was beaten again on 24th November at around 0500am when around 43% of power in Spain (9,253 MW) was covered. By the end of the year wind power will have covered 11% of Spain’s needs. Spain is the third-largest generator of wind power in the world, with about 16,000 MW of installed capacity with plans for 20,000 MW by 2010. And on the topic of wind energy, the largest onshore wind farm in Europe started producing power yesterday today in northern Portugal. The farm is to provide enough electricity for up to a million people. A total of 120 windmills are dotted across the highlands of the Upper Minho region of Portugal which continues to forge its reputation as a renewables champion. 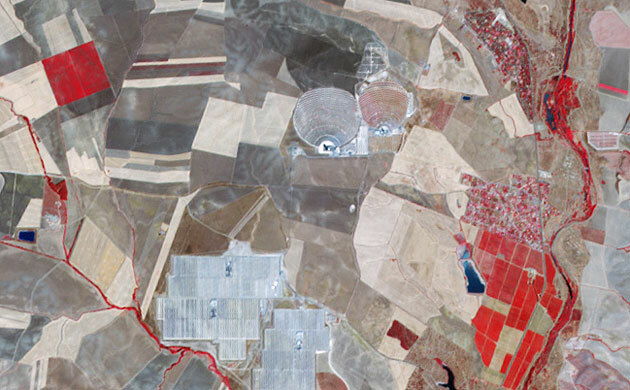 The world’s biggest solar tower plant is being built in 30km outside Sevilla. The technology known as concentrated solar power (CSP) reflects sunlight to superheat water at a central tower. Once the plant is opened in January, it will generate 20MW of electricity, enough to power 11,000 homes. The area around Sierra Brava Reservoir and Casas de Hitos is one of the most important wintering area for cranes, waterfowl and steppe birds in Extremadura. It is now under threat from the proposed building of several thermosolar power stations, which it appears could very easily be sited elsewhere. As Clive points out on the forum. “It is important to note that the problem here is not the new technology itself for energy production but the poorly researched situation of the proposed plan”. See also SEO’s page in English on this story. “This will suppose the direct occupation of more than 300 hectares of land, directly on the principal winter roost of the common crane in Europe, with 11,325 cranes registered there last year. Those two solar power plants also include a natural gas combustion unit each, to maintain the energy production during cloudy days, which will suppose the installation of both tall chimneys for the evacuation of waste gases and of cooling towers. In order to be able to use the energy produced, both power stations will share an electrical substation and a new high voltage power line more than 38 km in lengh, to connect with the grid at Valdecaballeros, and which will affect the entire Vegas Altas del Guadiana zone, including two SPAs.